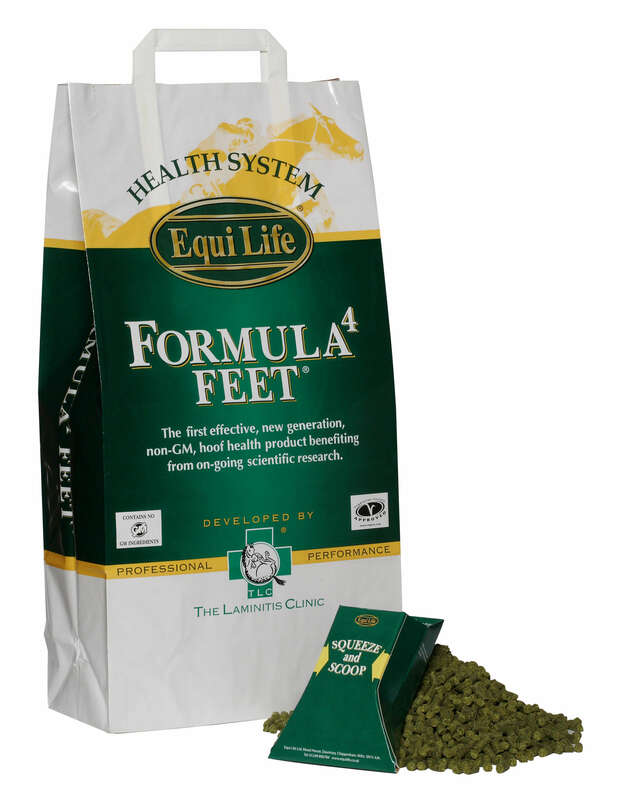 Equilife Formula 4 Feet is a top quality, palatable hoof supplement. It contains over 65 micronutrients to transform poor quality or cracked hooves to healthy, strong feet. It's manufactured in the UK & contains no GM ingredients. Equilife Formula 4 Feet contains biotin (20mg per dose), methionine, calcium, zinc, as well as other vitamins, minerals, antioxidants, amino acids & essential fatty acids. It doesn't contain cereals, so is non-heating. Feeding Instructions- Feed 37.5g per 100kg bodyweight daily. For example, feed a 500kg horse 187.5g daily. 7kg will last for 37 days. 20kg will last for 106 days.